Basketball. Malaysia. You seldom here those two words together without condescending references. 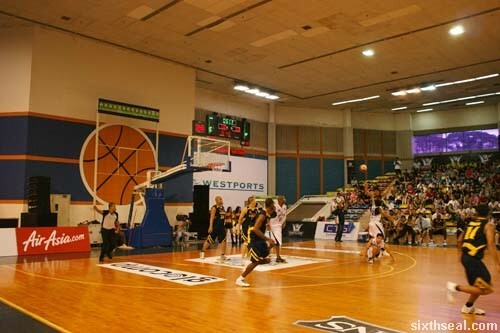 It reminds me of the Chinese phrase Crouching Tiger, Hidden Dragon, which means “talented or dangerous people hidden from view” and that’s exactly what the local basketball scene is like. 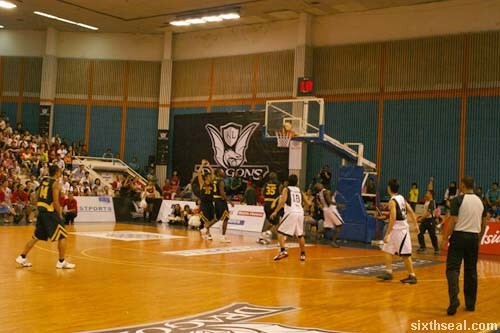 I went to MABA stadium last weekend to catch the KL Dragons vs. Thailand Tigers. 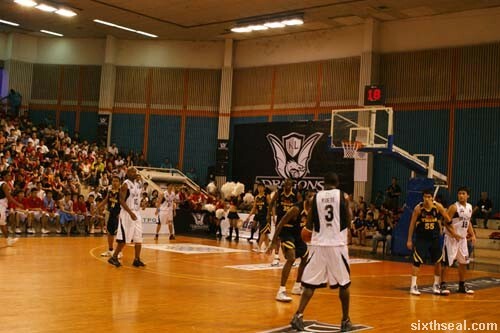 The atmosphere was charged and I could hear the chanting of the fans while walking in. It was electrifying! 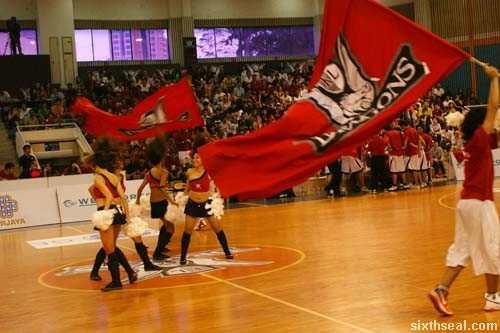 Let’s go Dragons, let’s go! 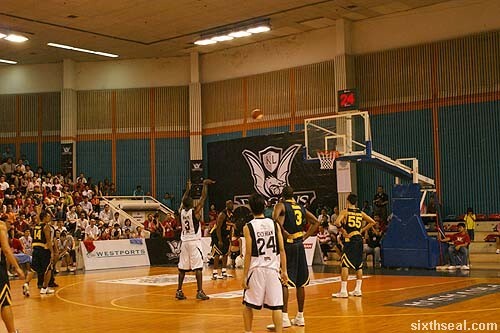 There were a couple of rough and tumble incidences (as all contact sports SHOULD have) which resulted in free throws. 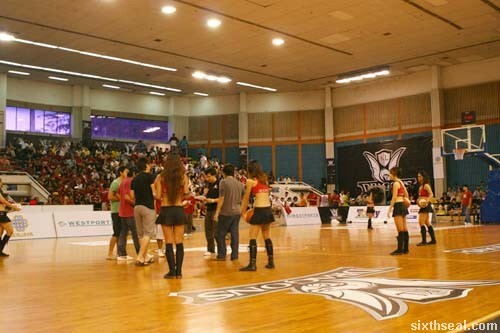 It’s exciting to watch the players strut their stuff on the court. It’s just one of the things which you need to see so I’m putting the video of the game here just to show you what the ambience is like. The half time saw people trying their luck/skill/homage-to-whatever-deities-they-believe-in to get a shot in. It’s just like the NBA games, hell, if I know .my has such a vibrant basketball scene I would have watched one of their matches earlier! Hot sweaty guys (as I told my companion) and cheerleaders galore, you just can’t beat that. It was getting so close in the end that I nearly tripped into the court while taking photos. Guess what? 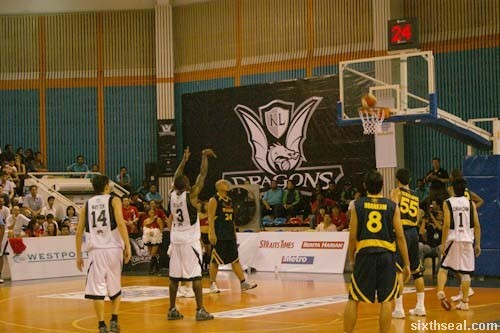 The KL Dragons won 88-69 against the Thailand Tigers. Go Dragons! I was surprised at the ability of Malaysian’s finest to (more than) hold their own. 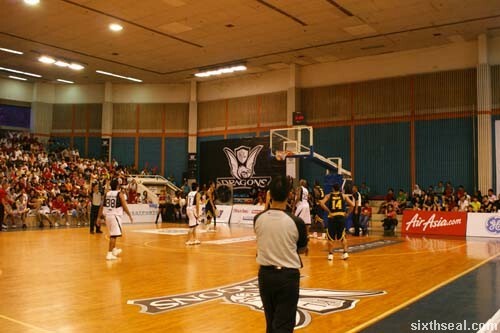 I didn’t even know there was much of a basketball scene in Malaysia! 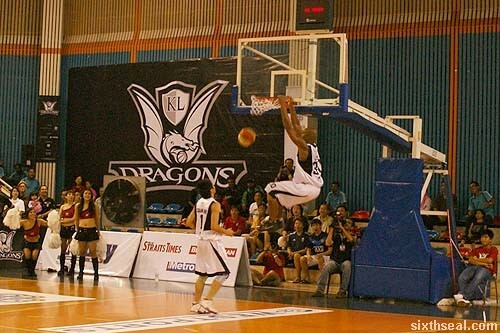 You can check out the KL Dragons site or be a fan on their Facebook page for their upcoming matches. It’s definitely something to be experienced!